WOW! 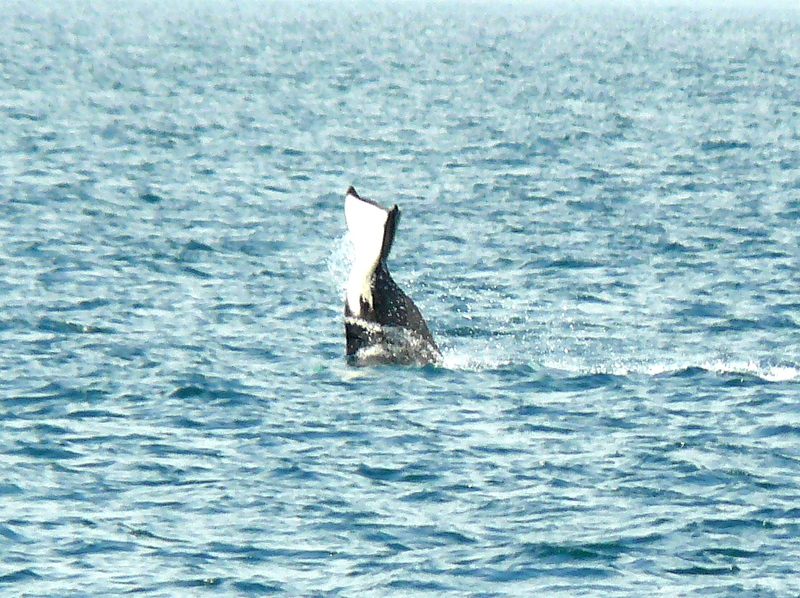 The wonder of the wildlife in the Salish Sea is ever changing on any given day! 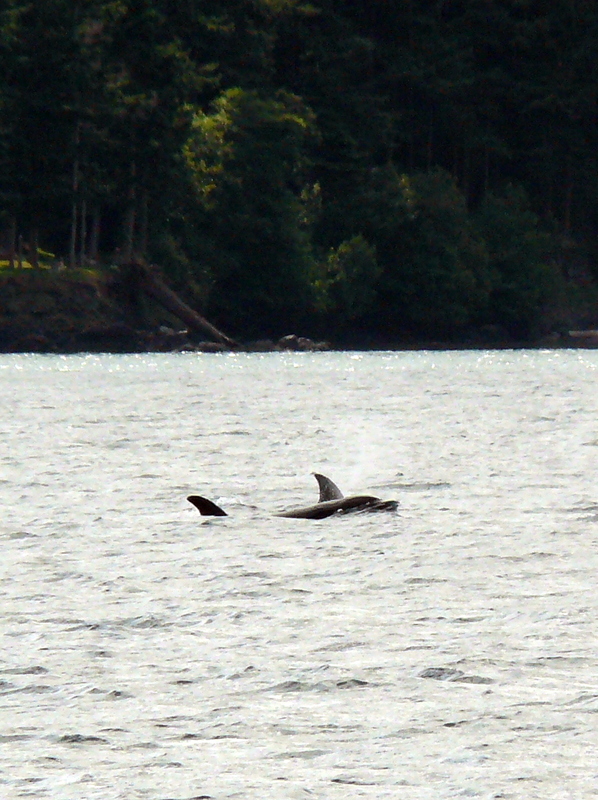 Today transient killer whales hunted right outside Friday Harbor by Brown Island. So we didn’t have to go far to start seeing whales. 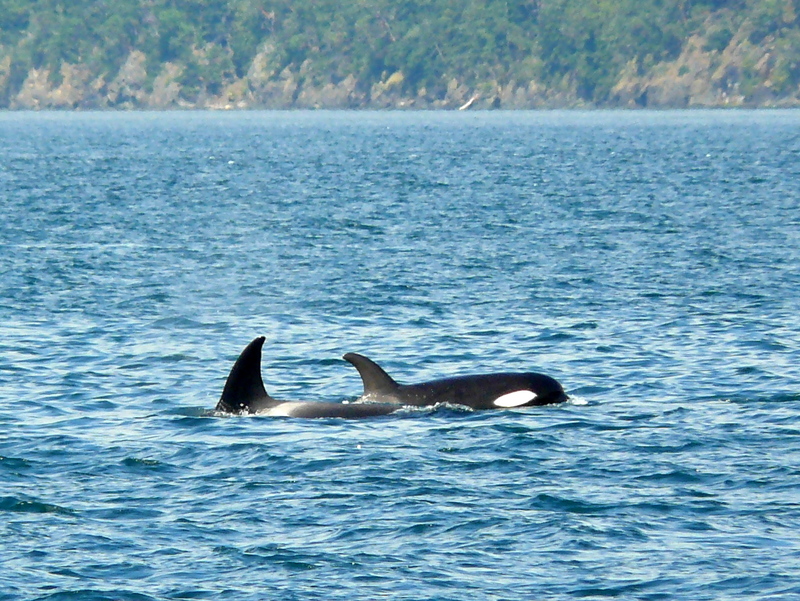 The family of transients showed behaviors such as lunging and direction changes that indicated they had gotten prey. There is a large population of harbor seals and harbor porpoise that those mammal eating orcas may have dined on. We traveled with the whales as they headed north up San Juan Channel, they seemed to rest for a bit, then sprung into action toward the north end of San Juan Island. The first hunting strategy will be to drown their prey and although we didn’t see the actual kill, several gulls flew in for leftovers. We did see a harbor porpoise heading south with a few more harbor seals that escaped being lunch today! A bald eagle sitting regally on its nest rounded out some of the diversity of wildlife in the San Juan Islands, another stellar day!